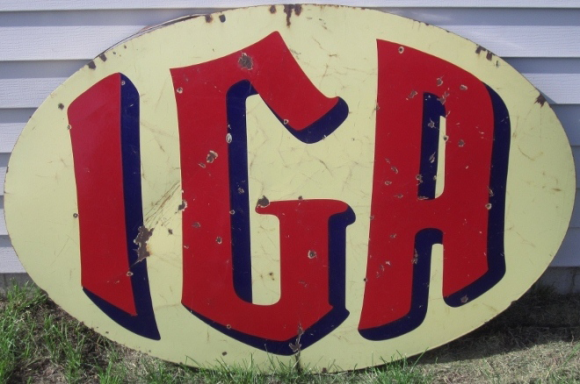 This is an oval IGA Grocery porcelain sign. This particular IGA sign is white with red and blue text. It reads, “IGA” and has no other design.